A Windsor man wanted in connection with a series of “vicious and cowardly” home invasions and armed robberies has turned himself in. 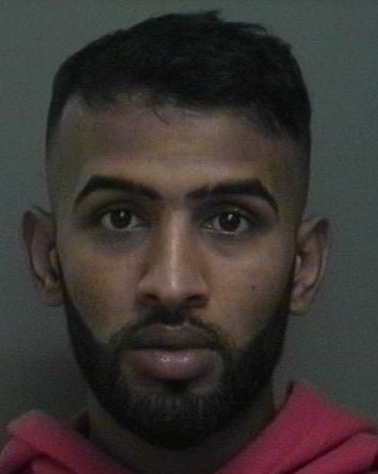 Peel Police announced an arrest warrant was issued for Rashid Ahmad, 25, at a press conference last week. Two suspects have already been charged in Project Blue Rock after South Asian jewellery store owners were allegedly targeted. Police say Ahmad turned himself in at 22 Division Monday. Ahmad is charged with robbery, imitation firearm – use while committing offence, and disguise with intent. The investigation is ongoing. Anyone with information is asked to call the central robbery bureau at 905-453-3311 ext. 3410 or Crime Stoppers at 1-800-222-8477.